The solar panels don’t realize if a homeowner is around or not – they just produce their maximum amount of power and feed it back into the home and the grid. Each kWh produced is worth the same amount, even when no one is home. Read more about comparing the cost effectiveness for small versus large electricity users. The net-metering occurs on a monthly basis, but homeowners who overproduce in certain months can carry those credits forward to months where usage outpaces solar production. The usage pattern of the homeowner doesn’t impact the cost effectiveness, so homeowners occupying the home primarily in the cloudier winter months still save the same amount of energy on an annual basis as homeowners living there in the summer months. In most areas the amount of photovoltaics homeowners are able to install is impacted by how much power the home uses. 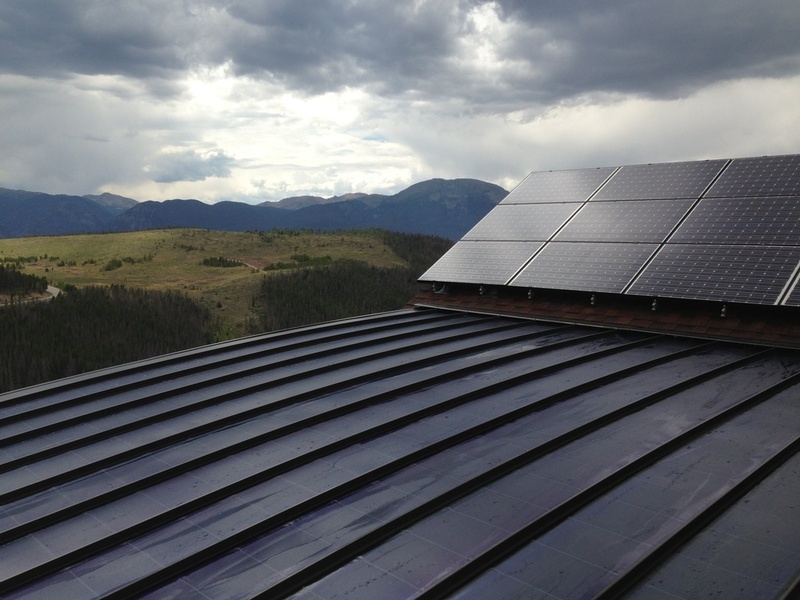 In Colorado, most utilities will cap the amount of power you can install to equal no more than 120% of the home’s previous 12 months utility usage. This is largely to ensure that the facilities and equipment serving your home will be able to handle the power you may generate in the opposite direction. This can sometimes be an issue for second homeowners who plan to make the home a primary residence in the future, when usage will likely increase. These homeowners can either wait for the usage to increase with full-time occupancy or can install the applicable amount now with expansion capabilities in the future. Since the cost effectiveness is linear, homeowners whose usage increases later still save the same amount. Many people compare photovoltaic and solar thermal systems, which have different function and benefits. For second homeowners in particular, photovoltaics, which create electricity, are a better investment than solar thermal, which creates hot water. The unique ability to be able to sell back extra power when it’s not needed and buy extra power when it is needed makes photovoltaics more economically favorable. Solar thermal does not have this ability to overproduce at certain times. Instead, when you have excess hot water, you just stop producing more hot water, even if you had the technical ability to make more, rather than being able to sell it back for use by your neighbors, like with photovoltaics. The lower the occupancy of the home, the larger disparity of the savings advantage of photovoltaics over solar thermal. The most important thing to realize is that there is no reason to guess – just give us a call to find out how cost effective solar could be for you. We provide FREE solar site visits so you can understand the cost, savings and payback of solar for your own home.